Winter’s like that guest at the party who’s great fun for a while… but never knows when the party’s over, and it’s time to go away until the next time. So until Winter gets the message, you can count on Emo to keep pushing it towards the door! The end of last year was unseasonably mild, but we’ve already had enough cold days in January to know that Winter’s not leaving the party for a while yet. That’s where we come in – because when it comes to delivering home-heating oil, we’ll always accept your invitation!! To help keep Winter at bay, we’re giving away a special prize to one of our lucky customers. 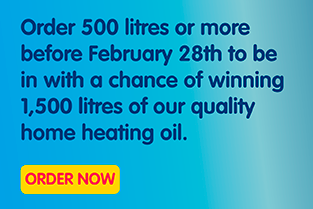 Order 500 litres or more from Emo before February 28th and you’ll you’ll automatically be entered into a draw for 1,500 litres of our high-quality oil. That’ll keep one of you nice and warm throughout the next few months! Get started at our Quote box above! As always, the best way to stay up-to-date with all our news, offers and competitions is to follow us on Facebook. 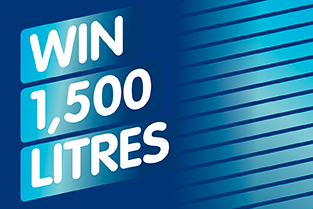 We’re going to have some brilliant prizes for our home heating and petrol customers over the coming months. Our Facebook friends love our regular competitions so make sure you’ve followed us at facebook.com/emooilireland to be in with a chance of winning.